A nearly 50 per cent drop in crude oil prices has forced Cairn India to exit its operations in Sri Lanka. 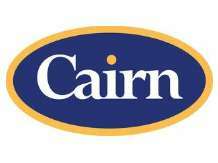 Cairn has already slashed its capital expenditure to $500 million from $1.2 billion earlier. Also, a sharp rise in exploration costs, softening crude oil prices, and one-off charges led the company to report its first quarterly loss in over seven years at Rs 241 crore during January-March quarter against a net profit of Rs 1,350 crore in the previous quarter. Revenue slipped to Rs 2,677 crore as against Rs 3,504 crore a quarter ago. "Exceptional item in Q4 FY15 pertained to impairment loss of Sri Lanka amounting to Rs 505 crore, leading to a negative profit after tax of Rs 241 crore," Cairn India said. Jal Irani, analyst with Edelweiss, in his report said,"The company has exited Sri Lanka, in its bid to optimise its portfolio." Till last year, however, Cairn was optimistic about its Mannar basin block and was planning to begin gas production from the block by 2017-18. In 2013, Cairn India completed appraisal and commercial studies to determine the next steps for the gas discoveries made on the block. "Cairn is in discussions with the Sri Lankan Government to evaluate options for monetising the gas discoveries," the company had said in its annual report 2013-14. Cairn has 100 per cent participating interest in Mannar Basin block SL 2007-01-001. Following the success of Phase-I exploration resulting in two gas discoveries in--- Dorado and Barracuda-- Cairn had completed drilling of a fourth exploration well as part of the Phase-II exploration programme. It had won the block in Sri Lanka's first licensing round, in 2007, after competing with OVL and Niko Resources of Canada making two gas discoveries there. In an email questionnaire sent, Cairn India did not give reasons to why the company quit Sri Lanka. Cairn had discovered two successive gas and condensate deposits in the Dorado and Barracuda wells in the Mannar basin. According to reports, the sites had reserves of around 74 million barrels of oil equivalent. Cairn had spent $150 million for the first phase and the following phases could have involved more investments, the company had earlier said. The company's scrip bounced back into green after slipping over 5 per cent in intraday trade. It ended at Rs 218.85, up 2.46 per cent. Post its exit from Sri Lanka, Cairn's international portfolio will have only one asset--- Block 1 in South Africa's Orange Basin. Cairn is the operator of the block with 60 per cent interest while the government owned PetroSA holds the rest. The block has an existing gas discovery, as well as identified oil and gas leads and prospects. The company completed a 3D seismic data acquisition in FY 2014. The company said discussions are ongoing with the joint venture partner over stability of the contractual terms.